Someone on Fr. 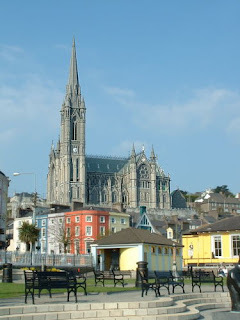 Z. brought up this beautiful cathedral in Cobh (Cove), and someone answered. nuns. It is truly beautiful and here are some photos. Photos of TLM from New Liturgical Movement in 2009. Wish I could have been there! Better than going to the Titanic museums there. There may be one or two weeks in mid-December when I shall be in places where there is no Internet again (yes, these exist in Eire). I try and post ahead, but in the meantime. I shall post several articles a day. Margaret Thatchers: " Socialism is fine until you run out of other peoples' money." The series on perfection will continue, but I am taking a break from this theme for a day, and am encouraging all to go back and read what I have shared to far. What I am going to do is trace more of the stages in the writings of St. Paul, so that you all can see how these stages develop and reveal themselves. Having a great spiritual director is becoming a luxury, but it is a necessity. God does give grace directly. If we look at the lives of the saints, very few had, or at least mention their directors, until the mystics began doing so. The martyrs, possibly imprisoned by years, had no one, not even confessors. Go back and look at at the lives of such people as SS. Philip Howard, Anne Line, even Edmund Campion, all denied help in preparing for horrific deaths of one kind or the other. One of my readers, who is a catechist, asked if I would list some of the doctrinal errors found among Traditional Catholics, which I have encountered, both here in Eire, and in Great Britain. I shall list errors which are in the Creed and not in the Creed. I shall list errors here which are in contradiction to the Teaching Magisterium of the Church, especially in encyclicals, which are, as from the Chair of Peter, binding on the faithful. These are not in order of importance, but merely as I recall them. This is not an exhaustive list. 1. Socialism is compatible with Catholic Teaching. 2. Babies who are not baptized are children of God and heirs of heaven (see 19). 3. Ignorance of the Gospel mitigates all punishment. 5. God is too good to send anyone to hell; hell is empty, if it exists. 6.Parents are not responsible for their minor children's souls, and therefore not punishable. 7.Tithing or giving money to the Church is not necessary. 8.The three hour fast is obligatory for trad Catholics. 9.Adults are not responsible for their Faith, priests are, or the teachers in the Catholic schools, etc. 10. Grandparents can secretly baptize grandchildren without parents approval or knowledge. 12. Liberal bishops do not have to be obeyed, especially with regard to private revelations. 13. The Novus Ordo is not a valid Eucharist. 14. SSPX confessions and marriages are valid and these can be attended (both need faculties or authority under a bishop of the CC-the Church has not made a public statement on marriages as of yet). 15. One can and should attend invalid marriages in Protestant or Jewish forms, such as that of a fallen away Catholic and unbaptized person for family unity. 16. Canon Law only applies to priests and not the laity. 17. The CCC is too liberal to use. 21. One can do plenary indulgences for the living, especially fallen away family members. 22. A Catholic or Christian person who abjures Christ to marry a Muslim is not responsible for apostasy. 23. Annulment is wrong, always. 25. There should never be married priests. This is an odd mixture of too loose and too strict ideas brought about either by ignorance or stubbornness. Laity, you must change. This is the age of the laity as the priest shortage becomes more and more acute. Even though vocations are up, they are not, in many countries, at replacement level. In my home diocese, in 2015, there will be 15 active priests under the age of retirement for 100,000 Catholics. This is a pattern repeated in England, Wales, Scotland, Eire, Canada, France etc. With the lack of priests and the spiritual decadence of the active orders of nuns, it is our age. The welfare of our soul and the welfare of the souls we meet are our responsibility. God has given us this time and we must seize it. It will not last. We have tremendous graces, with Adoration, daily Mass, confession weekly in some places, which is a blessing. Even the nuns in the convent only had confessions once every two weeks. So, if the evangelization has fallen into our hands, what must we do? One, get serious about daily Mass, hours of prayer, Adoration, daily rosary. Two, free your life from mortal and venial sin. Reach out for purification and perfection. Read my posts. Three, get beyond your own problems and reach out daily to those who will perish without your evangelization. Four, sacrifice, more than usual, and accept suffering as Christ entering into your lives. Five, realize that your baptismal vows demand that you evangelize. Six, absolutely be a sign of contradiction in the world-think about what that means. Eight, pray daily with your spouse, you lucky person, as many of us singles pray on our own. Nine, singles, find out who is in your area to create a small support group. This is essential. Ten, singles, be contemplatives in the world. You have more time, so give it to God. Eleven, be absolutely faithful to the Teaching Magisterium and if you are not, get there by being humble and submitting through Faith. Twelve, be martyrs for the Church. What does this mean? In all places, at all times, stand up for the teaching of Christ as communicated through His Church. Always and everywhere be ready to defend the Church. The feast day in the EF of St. John of the Cross is November 24th. The Low Mass I attended was attended by about 30 people, the regulars, as one said. There were about six young people in their twenties there, excluding the altar server. This is good news. 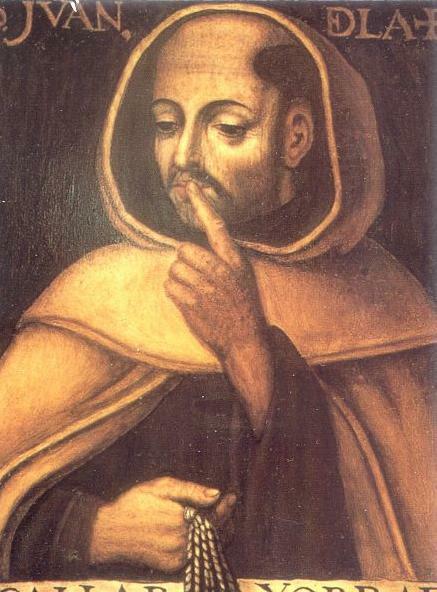 St. John of the Cross is the great Doctor of the Church who teaches us about mysticism. I highly recommend reading his work but only with the approval or aid of a spiritual director. His experiences were what is called Extraordinary Contemplation, the experience of great mystics. St. Teresa of Avila, of course, is the other Doctor of the Church who explains this type of contemplation. Mystical experiences are sheer gift, occurring without any effort on our part. This is a great difference between Ordinary Contemplation and Extraordinary Contemplation. Of course, all prayer is gift, but the first type is something to which we can aspire in prayer. Whether all people can and are willed by God to experience Extraordinary Contemplation is open to discussion. The state is seen by some as willed by God for all people. Garrigou-Lagrange would fall into the category of theologians who believe that God is calling all to the unitive state. The reason one should read these books with the approval of a spiritual director is to avoid deceit in one's life. I shall post more on this again. Here is St. Teresa of Avila's definitions, from her Life, taken from the Catholic Encyclopedeia. Also, the fruits of the prayer of quiet follow. May I note that only those who are in sanctifying grace and in complete orthodoxy with the Catholic Church can rise to this level of prayer. Many heretics may have gotten to the illuminative stage and lost grace through pride, but none would be able to experience union. If you are in a parish where the priest still is not using the new translation of the NO, leave that parish. If you are in a parish where the priest skips parts of the Mass or is loose about his rubrics, leave that parish. If you are in a parish with Communion Services run by women, nuns, lay persons, get out of that parish. If you are in a parish where Confessions are by appointment only, get out of that parish. If you are in a parish with altar girls, mostly, get out of that parish. If you are in a parish where the priests do not give real homilies which have meat, get out of that parish. If you are in a parish where people dress on Sunday like they are going to WalMart scrums right after Mass, leave that parish. If you are in a parish where the priest baptizes and confirms everybody and anybody who asks without catechesis or looking into personal lives, leave that parish. If you are in a parish which has a school which hires lesbians, homosexuals, non-Catholic teachers, leave that parish. Your immortal soul is at danger and you may not have time to become holy NOW. Your family is affected. I you have children, they are being given bad examples. We do not know the day or the hour and all these things interfere with the virtue of religion and the proper formation of conscience. Move if possible or drive to another parish. Stop giving money to schools which are not teaching Catholic doctrine. This is a hard saying, but I have been thinking for over a year about the necessity of being a Catholic in order to experience the real love of God and be one with Him. One cannot judge others, but the nature of love is such that it is based on Truth and the fullness of Truth is in the Catholic Church. Being one with the teachings of the Church is like being of one mind with the Beloved, Christ. If one disagrees with one item of orthodoxy, one is removed from unity with the Catholic Church and therefore, oneness with Christ. All baptized people are children of God and heirs of heaven. All baptized people are in sanctifying grace. But, there is a catch. As soon as one is at an age of reason and is choosing to be a Protestant, this relationship is broken. The stages of holiness I have been describing cannot be reached in the fullness without a basis of orthodoxy. Does this mean that no one outside the Church is a saint? Obviously, the Church does not canonize Protestants. That some people outside merit special grace is because of the merits of the Catholic Church. This is part of the mystery of grace. No one sees God who is not purified of sin and self-will. This is our mission, to cooperate with grace in order to know, love and serve God in this world and praise Him in the next. The first level of contemplation is listening to the Word of God, as we do in Mass, according to St. Augustine of Hippo. Therefore, the laity enter into this first step every time they go to Mass. Hearing is both an active and a passive event. We hear and appropriate what we hear. Those who teach, such as the Jesuits, or parish priests, are involved in both the active and contemplative life, therefore. However, the laity must take time to enter into the quiet necessary for contemplation. I want to list some of the stages of contemplation, which is the call for all of us whatever our state in life. The difference for us laity is that we must seek after these gifts, unlike the religious in contemplative orders, whose primary work is that of personal perfection. Please do not read popular, new age books on contemplation. These are deceitful and dangerous, concentrating on the person, the individual, rather than on the Trinity. This is the key. Affective prayer, which is part of contemplation, is praying listening to God, rather than focussing on ourselves. I shall say this in another way. As long as we concentrate on our own problems and grocery list of needs, we shall not enter into contemplation, which is looking, talking to God, or better yet, listening in silence to God. The danger is concentrating, even in these posts, on one's self. No. The gaze of prayer is the love gazing on the Beloved. The God Who Loves us waits for us to come to Him in love. This gaze is what Mother Teresa noted, which I remembered in another post. This prayer of simplicity is the first type of contemplation, called Ordinary Contemplation. This is not the mystic state of St. Teresa of Avila or St. John of the Cross, but is the stage just prior to that state, which is called Extraordinary Contemplation. This higher contemplation is not a topic which I shall cover for several days. The stage of Ordinary Contemplation is what we are all called upon to attain, and those who do, are experiencing God in a way He wants for all person, lay or religious.